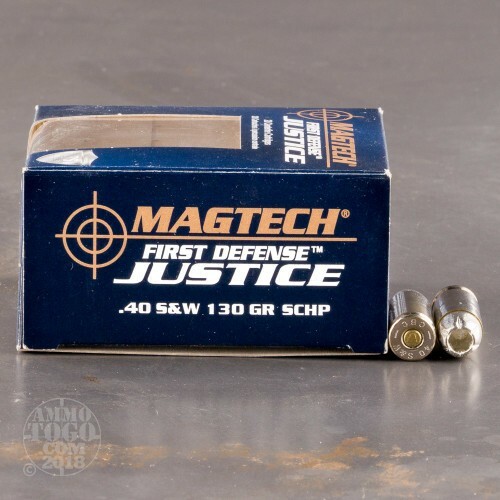 This is a 40 S&W Magtech First Defense Justice 130gr. Solid Copper Hollow Point Ammo. 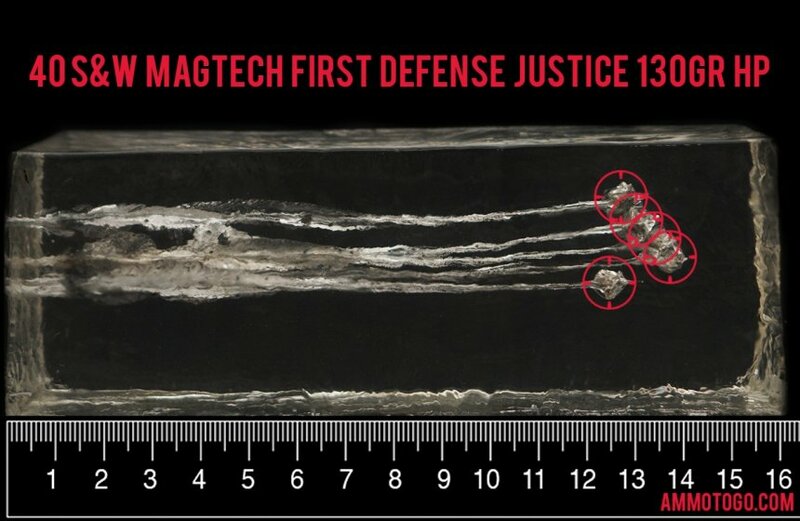 Magtech's First Defense line of ammunition has been an high performing all-copper round, and now Magtech has released the second generation of this excellent round. 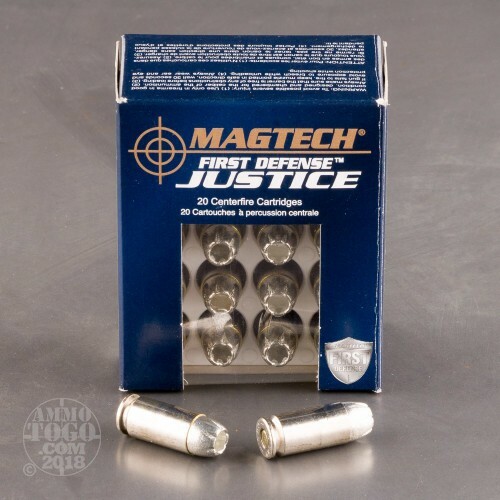 The rounds same basic design remains unchanged, but Magtech has added a thin tin coating to the solid copper bullet, which decreases drag, resulting in a slight velocity increase. The tin coating also reduces wear on the barrel of your firearm. The First Defense line also incorporates nickel cases which improves feeding reliability and makes a chamber check in low light much easier. 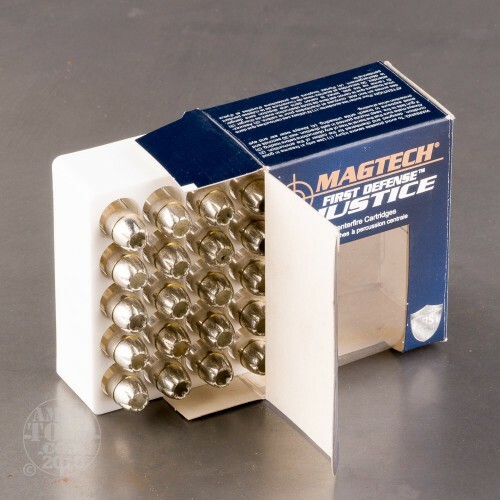 This ammo is brass cased, nickel coated, boxer primed, and non-corrosive. These rounds come packaged 20rds to a box. Muzzle Velocity: 1280 fps. 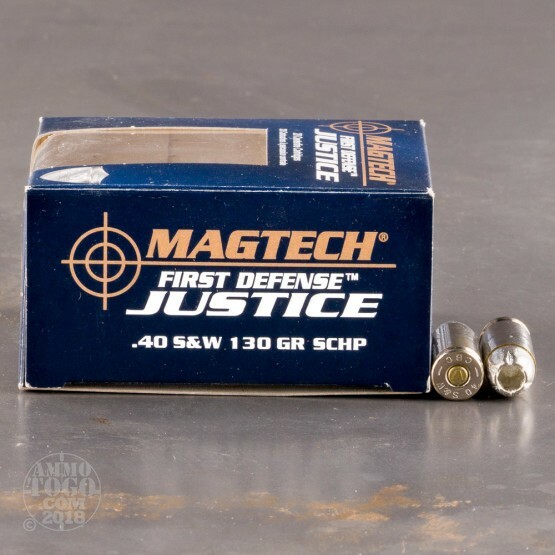 How do the results for this Magtech 40 Smith & Wesson compare to other 40 S&W? 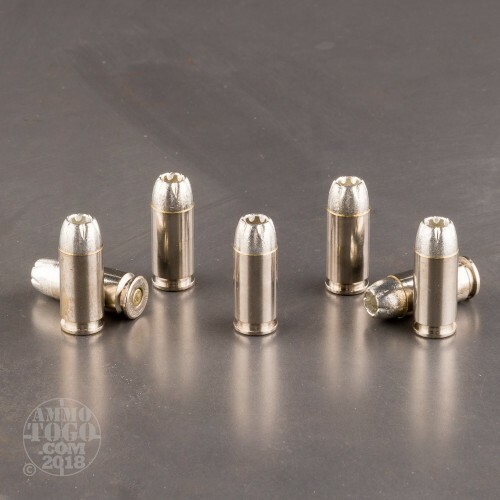 Expansion Diameter Compared to All 40 Smith & Wesson Ammo Tested MIN 0.39" MEDIAN 0.65" THIS AMMO 0.69" U.S. dime MAX 0.89"
Penetration Depth Compared to 40 Smith & Wesson Tested 0" 10" 20" 30" MIN 9.8" MEDIAN 16.5" THIS AMMO 13.6" MAX 32"